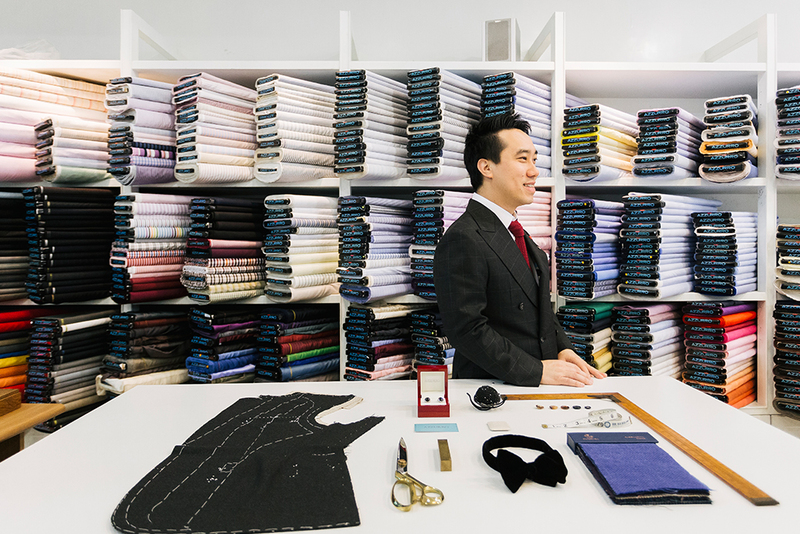 Meet the one and only suit maker in Thailand, who trained about the art and science of suit-making from a cluster of Italian’s best ateliers. 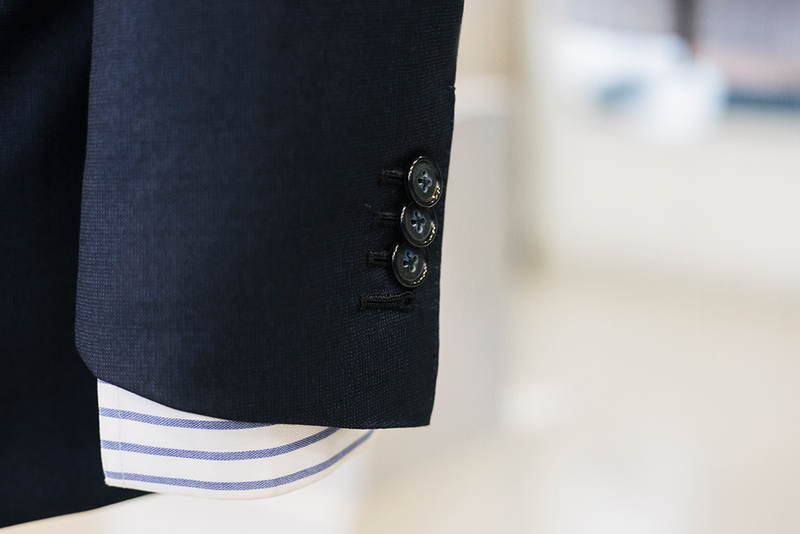 Hear him talks about why details can turn a suit into your perfect piece of attire. For my untrained eyes, the best I see is the colors and patterns, and how they may benefit the wearer of the garment. It is quite impossible for me to instantly recognize how the hidden details of a suit can transform a piece of clothing into an impeccable piece of garment. Such details involve the fitting proportions between the shoulder, chest, waist, arm length; a jacket length, side pockets, buttons and more. All speaks of the wearer’s taste, his lifestyle and interest. No detail is too small when it comes to making a man feels good about himself. Who are the people behind the design, tailoring and executing of the details of a suit, made to amplify one’s physical strengths and diminish one’s shortcomings? 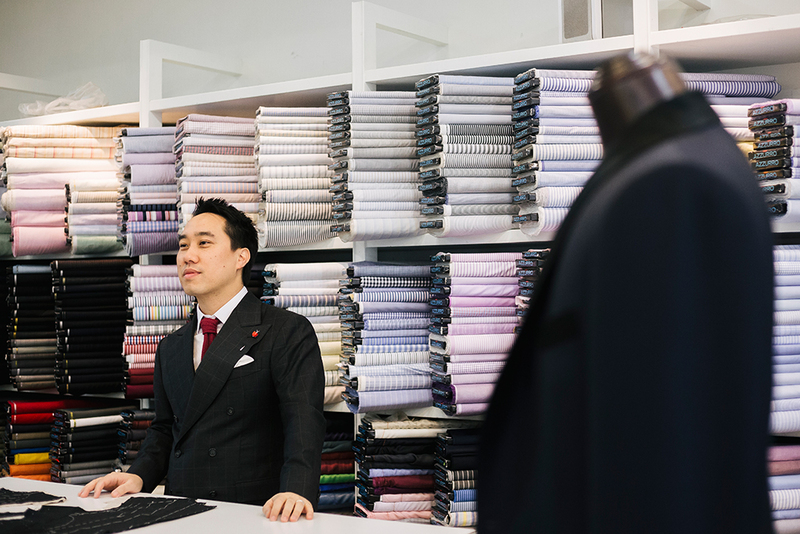 Today we see the rise of bespoke tailor shops which answer to the young customers who look for a one-of-a-kind gentleman attire. Among them, Jirath Werawatphuwakul or Jay’s Azzurro Atelier immediately has caught our attention. Jay is the brand owner and the director of Azzurro (for short). He is the second generation of bespoke tailor business owner who skillfully combines the understanding of the business with the true art and craft of Italian tailoring. His mission is to provide service for those who want the perfect suit that answers to the owner’s specifications. 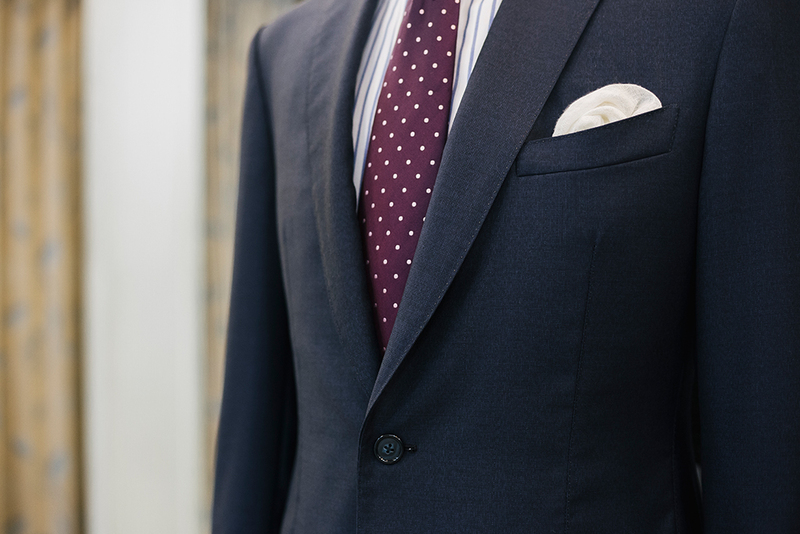 While reading this article, it might be fun to think about your own perfect suit. Azzurro is on Sukhumwit road between Asoke BTS station and Sukhumwit Soi 18. Azzurro means light blue in Italian. The Azzurro type of man defines the meaning of cool, he also makes people around him feel relax and welcome. The cool and preserved ambience of the atelier of light blue draws in many customers, many are well-known businessmen and celebrities from around the world. Among many good tailors’ secret weapons, ‘canvas’ is one of the most crucial to a suit’s quality. It’s called canvas after the fabric that is traditionally made. This interfacing layer of cloth is placed between the wool and the lining of the chest and the lapels. In traditional Italian made jacket, the canvas is skillfully sewed so it floats between the outer (wool) and inner (lining) fabrics. The floating canvas makes a jacket looks supple and natural. Next a tailor works on the lapels of the jacket. The good lapels are supposed to be supple and ‘alive’. This works with the torso and back of the jacket that gently hugs the wearer’s contour, to create the unassuming look of ‘the second skin’ which happens when a jacket is made to fit perfectly. It takes a team of craft people to make a jacket, even though one tailor takes care of a jacket, from start to finish. Beside the body, the other team of tailors work on arms which require a completely different set of skills. The declining number of skillful seamstresses and tailors has become a challenge for the production of hand-made tailoring. This happens in Bangkok, Japan, Italy and France. Chanel’s Karl Lagerfeld refers to skilled seamstresses and tailors as – the national treasures. Traditionally, the skill of handmade suit-making was exclusively handed over among the tailors of Italian ateliers. Facing the declining number of skilled tailors, the Congress of Italian Tailors founded L’Accademai Nazionale dei Sartori, the formal school of tailoring. Jay’s family of tailors has cemented the relationship with many old ateliers in Italy, pulled some strings to enroll their daughter, Jay’s siste,r into the academy. She was studying fashion design at Instituto Marangoni in Milan. 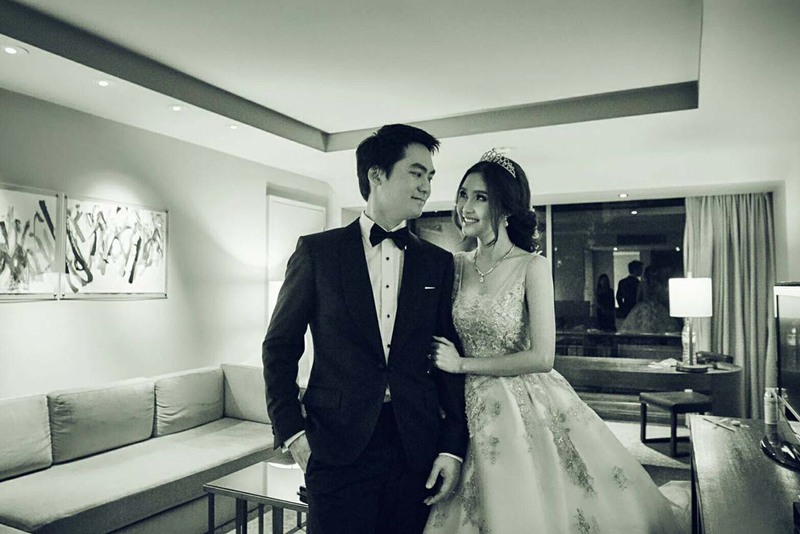 She then became the first Thai who ever studied at the academy. 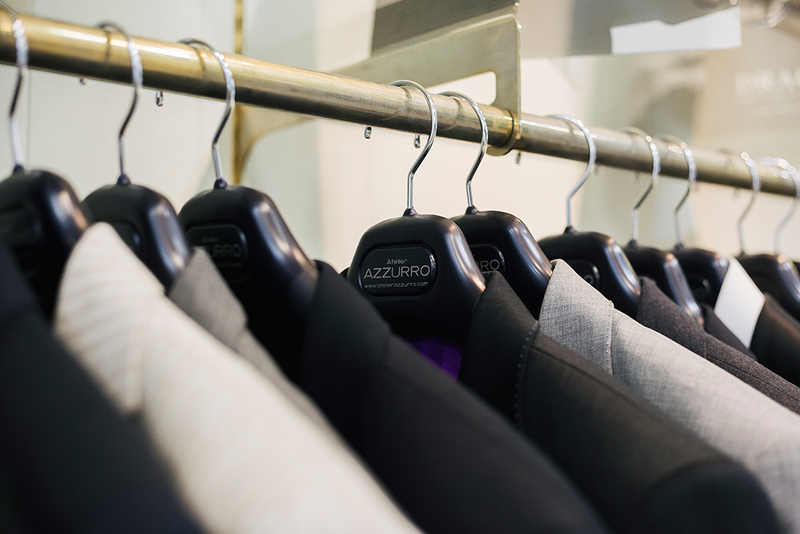 And Azzurro Atelier has become the first tailor shop in Thailand that directly exposed to the art and science of Italian sartorial. Later Jay went over to Rome to take short course on tailoring. “Since the Italians regard the art and science of tailoring as the nation’s secret, naturally they were reluctant to accept foreigners into the academy. And we have sworn to keep the academy’s know-how inside our shop,” Jay said. Apart from the technical side of the art of tailoring and seamstress, Jay and his sister had been taught the professional attitude of Italian tailor. 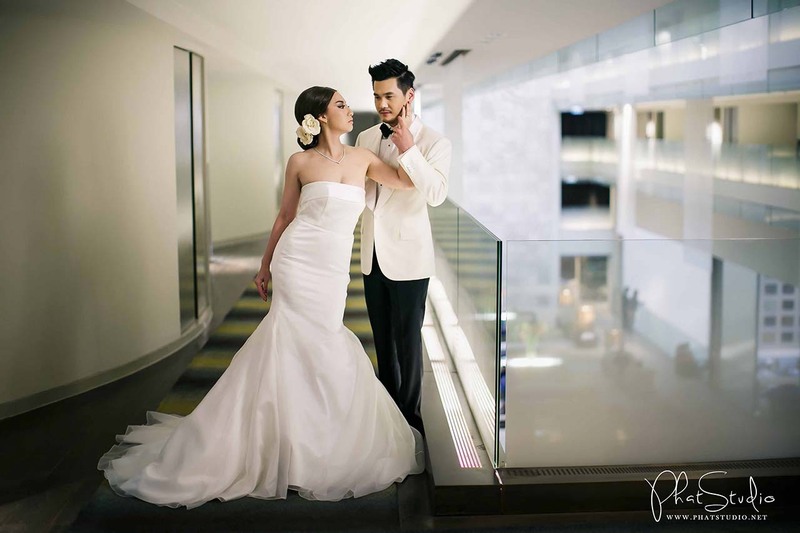 “For example, during the fitting, an Italian tailor may spot the flaws in the suits, and he or she will instantly fix the flaws without being asked by a customer who might even hasn’t noticed the flaws. 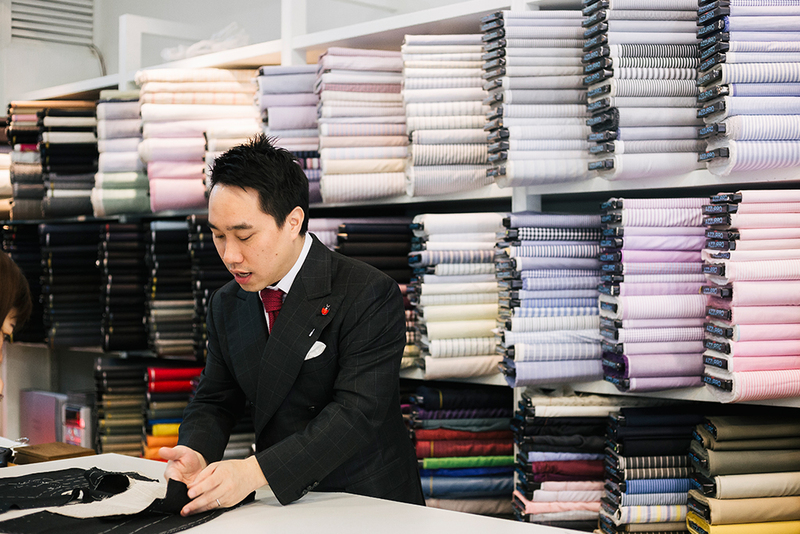 What matter most is how to make a perfect suit of the best quality there is,” Jay explains. After entering the world as a working man with steady job and income, it’s time for Italian man to think about getting a nice suit. A suit that makes him feels good about himself. Thai though purchase suits for a different reason. It is the special events in which a suit is called for. “Why should a man get a suit tailor-made?” I asks. And this is Jay’s answer: One can wear a good quality suit for five up to ten years. Even though the price tag is higher than what you buy off the rack, but I see more value in the suit we wear than the suit you hardly put on because you don’t like the way it looks or how it makes you feel. For me the suit you bury in the back of your closet is more expensive than the one you wear regularly. “Personally I love the Italy’s Loro Piana. And they are very particular about their outlets. 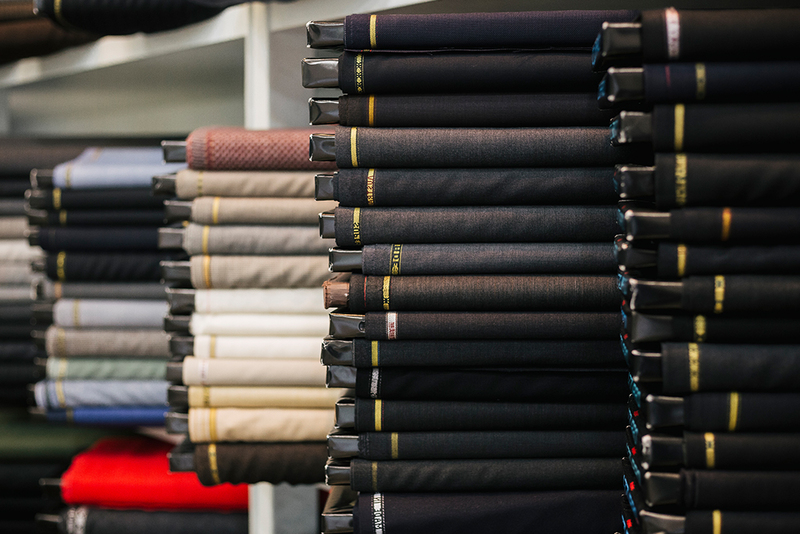 Before sending their fabric samples, our atelier and tailors has been inspected by Loro Piana’s agent to see if our products are up to their standard.” He then showed us some of the Italian brand’s samples which made our eyes pop. 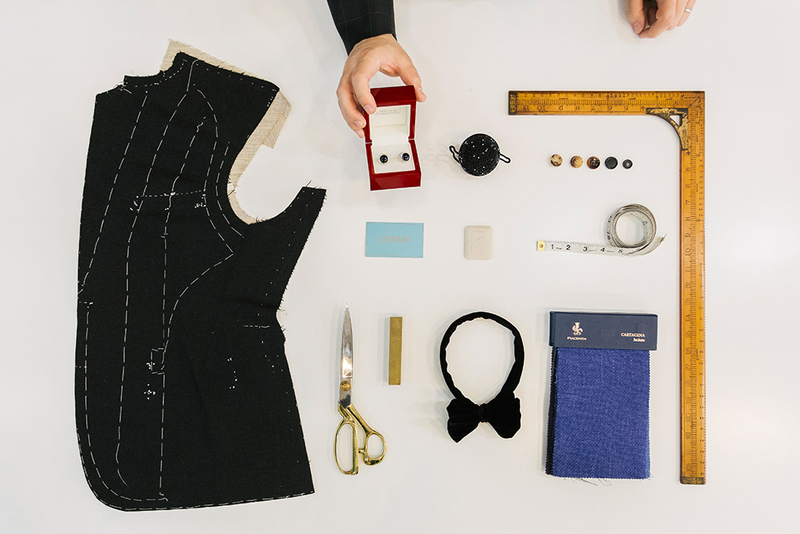 The process of making a bespoke Azzurro suit is more than just a matter of measuring a customer. Jay takes it as his mission to get to know a customer as best as he can. During a casual conversation while doing a measurement, Jay gets the information about a customer’s lifestyle; where did he go for the last vacation? What is his favorite music, food and hobby? His friends and family. “Apart from getting to know a customer, my job is to ‘suggest’ his needs and guide him through the details of styles and cuttings. For example, an older customer sees fitted pair of pants as uncomfortable. I would take time to explain that a pair of fitted pants can be worn comfortably if it is made of fine quality of fabric. What we are trying to do at Azzurro is making him the jacket, not just any jacket, but the jacket that is truly his. “Those who can’t tell a good suit apart from an OK suit are like a man who was contented with fast food burger until he has a taste of the real juicy wagyu burger with blue cheese on top. Only then that he will change his mind.” That was Jay explanation. Not everyone understands, leaving alone being passionate, about bespoke tailoring. Words of mouths is Azzurro’s marketing tool. Jay tells us that he tried the online advertising which didn’t work well due to a big differences of those he communicated. Some don’t appreciate quality tailoring. Some are limited by their budgets. One of the reasons why Azzurro’s customers love their works and always come back is that Azzurro never compromise on quality of the works. The love and pride in what the tailors and seamstresses do and the thirst for new know-hows, are the attitude strongly shared in the whole shop. “Every year we invite an Italian maestro to come and run an internal workshop. Well, it’s more like reviewing session for lessons learned last year. The workshop is for senior and highly skilled tailors. The younger tailors must prove themselves by improving their skills to see if they are good enough to be in the workshop,”Jay says. He then told us that the youngest tailor is 55 while the oldest is 70. The shop’s youngest trainee is 35. The old tailor has no problem threading a needle in one go. “When your business makes your customers happy, you gain more than financial benefit. You’ve got friends. The positive feed-back and the presence of friendship are so great they’ve given you the positive energy. Once I’ve asked one of my businessman friend/customers why he comes to my shop when he can have his suit made anywhere in the world. He said he gets a suit when he goes to other shop, but he gets to meet a friend when he comes here. Moreover knowing that we never compromise with our quality, he feels confident in recommending us to his friends. He rests assure that we will never fail them.” Jay says. Younger generation of aspired businessmen are known to be fueled by their passion. And Jays has a thing or two to say about that. “I think without working really hard on what you do and without consistency, passion can be exhausted. Passion may not be enough when comes the day you find out no one cares about your works. Solid knowledge on what you do is what a good brand is built on. 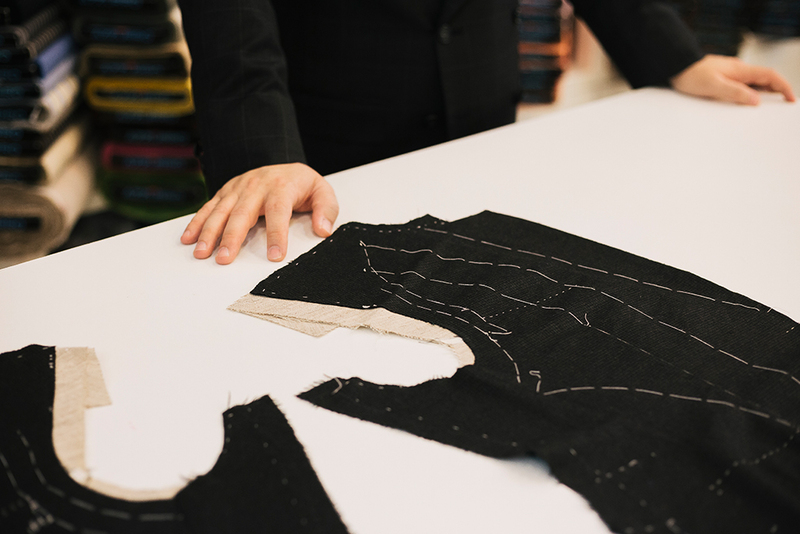 You can’t be a good designer without knowing how to sew or cut patterns. You must be hand on. Italian tailors understand the strength and weakness of each person’s body build. A good suit, through design and tailor skills, emphasises the strength and eliminate the weakness. A good suit does not only make you look good, it also makes you look good the way you want. There is a whole list of tailoring details that can makes it ‘your’ suit. And the details must be put together with great care and skill. Such suit is a pride of the owner and its tailor alike. In the years that one’s identity is more important than the mere appearance, searching for what fits one’s taste can be his top lifestyle priority. A few things can speak for a man, about his taste and aspiration, like a suit he is wearing. Some of the details are not even visible. 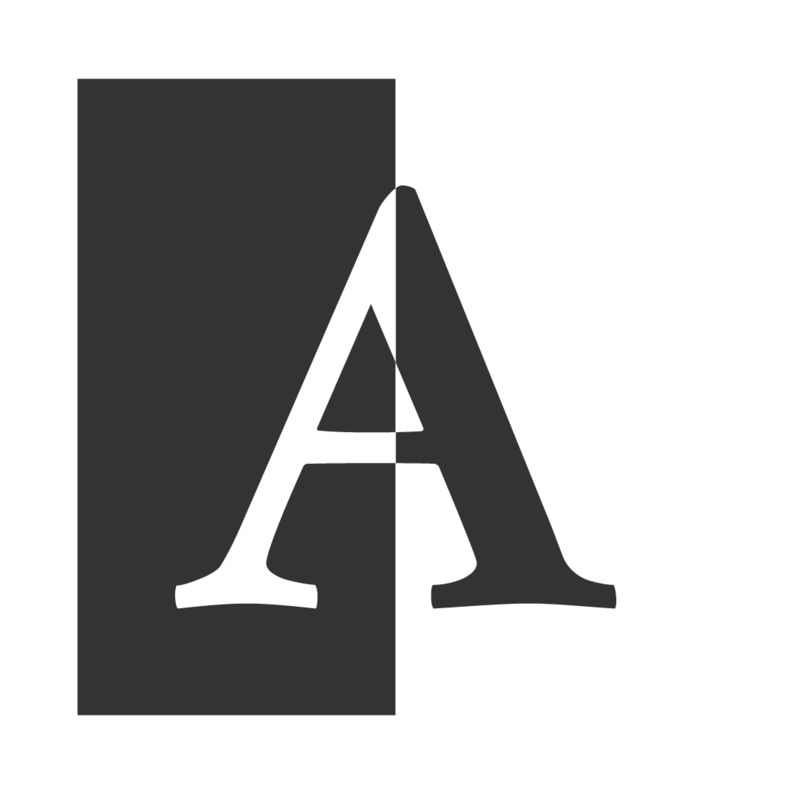 Some, with hard works and the story behind them, are recognized only by its owner. Such subtlety can make years in life the sweet and enduring ones. 1 Making a suit that a customer would love to wear again and again is our goal. Our suits do not belong to the back of a man’s closet. 2 Getting to know a customer, bring his identity out and make it shines. 3 Keep on being motivated. Come to work fresh as it is your first day at the shop.